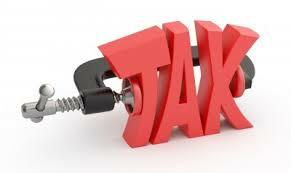 Last year nearly 30% of all individual tax returns show some form of self employment income. No wonder small business tax deductions are such a hot topic! With the growth of the “gig economy” like those driving for Uber, more and more people are receiving self employed wages but may not be aware of the additional costs that come with it. All wages that are earned in the US are subject to Social Security and Medicare taxes (these are called FICA which stands for Federal Insurance Contributions Act). Social Security (6.2%) and Medicare tax (1.45%) are something we all have to pay, and it probably doesn’t come as a surprise to anyone except those receiving their first ever paycheck. But self employed people have an additional tax on self employed income! SECA (Self-Employment Contributions Act) is a nifty little tax that you aren’t aware of if you’ve only ever received payroll checks. Guess what the SECA taxes are? Social Security (6.2%) and Medicare tax (1.45%). That’s right, self employed people pay double what a normal payrolled employee pays. Kind of. Actually, employers have to pay the SECA taxes for their employees. This might seem like payrolled employees get an extra 7.5% of income, but typically employers are including this in their accounting to calculate what they can pay someone for any given job. If you are self employed, you are responsible for both FICA and SECA – which comes out to about 15% of your income – before you pay your normal taxes! This is 7.5% more than a person on payroll will have paid. FICA is non-deductible for everyone. SECA is 100% deductible. But many self employed people don’t realize they can deduct this as an adjustment to their income! So you could end up paying taxes on that income, which you never even received because it went straight to your SECA portion. Luckily you do not have to itemize your deductions to take advantage of this. There is a line for it directly on the face of your Form 1040. Just remember to include this, as it’s an easy one to forget about!